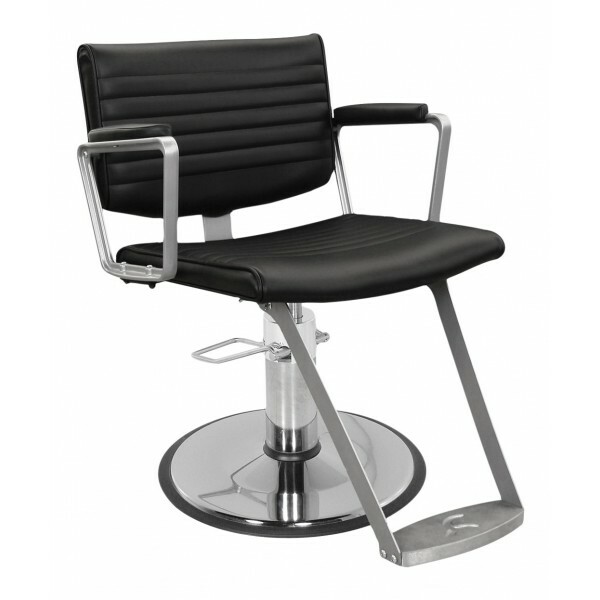 The clean modern lines of the Aluma Styling Chair give it a look that sets it apart from the rest. 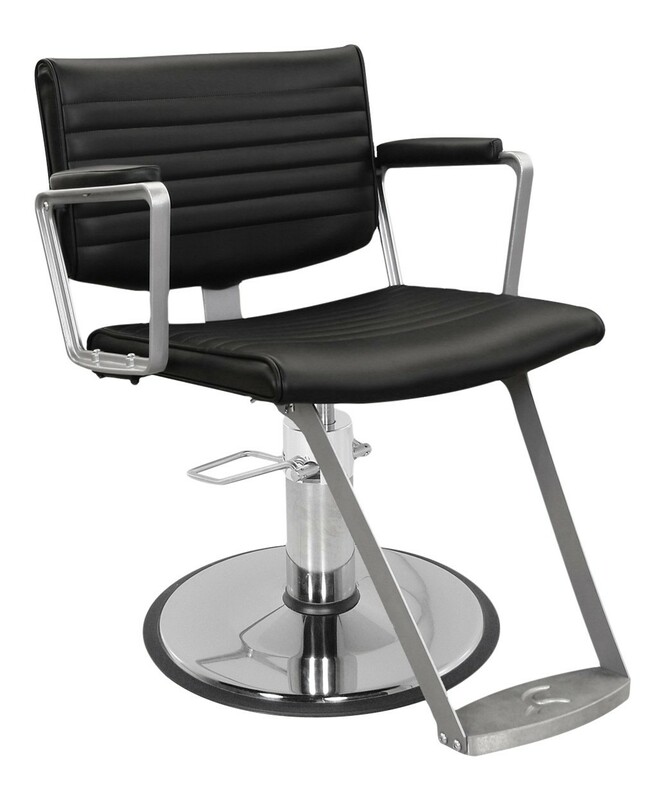 The Aluma All Purpose Styling Chair is made 100% in the U.S.A and is backed by the industry best 7.5 year warranty on the hydraulic pump. 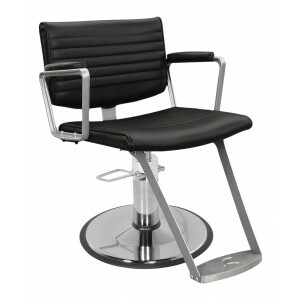 This All Purpose Styling Chair features a comfortably contoured seat and back, premium quilted stitching, solid cast-aluminum arms and a laser-steel footrest. Dimensions: 24.5"W x 27.75"D x 31.5"H Seat Ht 18.75"; Seat Size 20.5" x 20. Some assembly required.